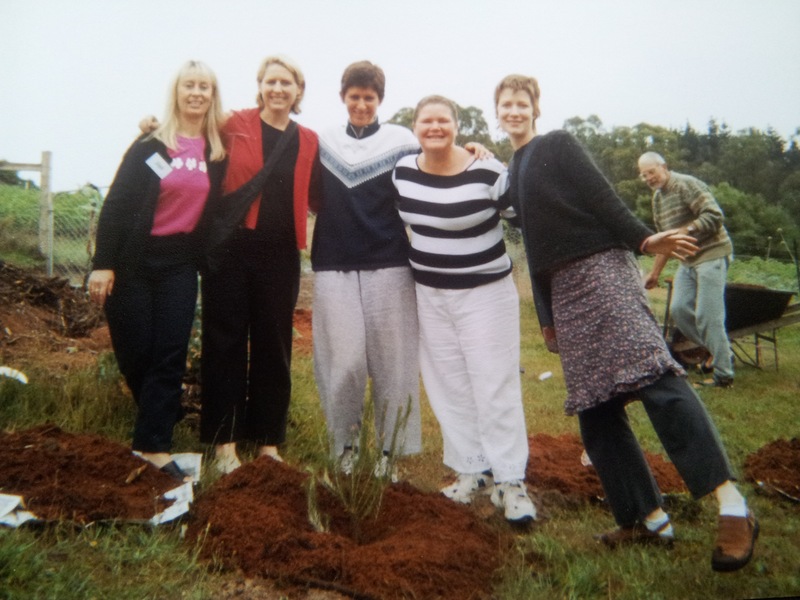 In February of 2003, a few months after my cancer diagnosis and surgery, I attended a cancer retreat in the Yarra Valley outside Melbourne, Australia. It was an amazing ten days, that helped me transform my cancer experience into something that had value and meaning for me. Part of what made the experience amazing were my four roommates. We were all under forty, among the youngest of the larger group. We’d all experienced a life-threatening illness, and yet when we started talking at night, it could still seem like a slumber party! But while four of us were considered cancer-free after our surgeries and treatments, that was not the case for Lisa. She carried a burden greater than ours–the knowledge that cancer had already spread to her spine and her liver. They’d already taken her uterus, and one arm was swollen with lymphedema. She had endured many of the outcomes I most feared… and at the same time, she modeled for me how alive and vibrant a person could be even in the face of such feared outcomes. Lisa (in the striped shirt) was not fearless, but she was fierce. I saw her break down and cry at night, and I saw her wake in the morning newly determined to do everything in her power to live more years–often citing her son, who was just a toddler at the time, and her daughter. She did proud by her goals, surviving for a full decade since our time together. Yesterday I woke to an email saying that she had died. In my last post I talked about I’ve been struggling recently, to make decisions, to find meaning in the things that I do. Remembering Lisa is, for me, also about remembering perspective. The worries I have currently are, in a way, a luxury. The kind of worries one has when one has health and the likelihood of a future. I am grateful for the time I have to figure things out, grateful for pain-free days, grateful for all the beautiful things and people in the world around me. I’m grateful for the chance I have to try, again and again, to put experiences into words in a way that does them justice. In this moment, I am blessed. Posted on June 12, 2013 June 26, 2013 by barrington99Posted in Cancer, Gratitude, Health, UncategorizedTagged Cancer, Support Groups, Yarra Valley.